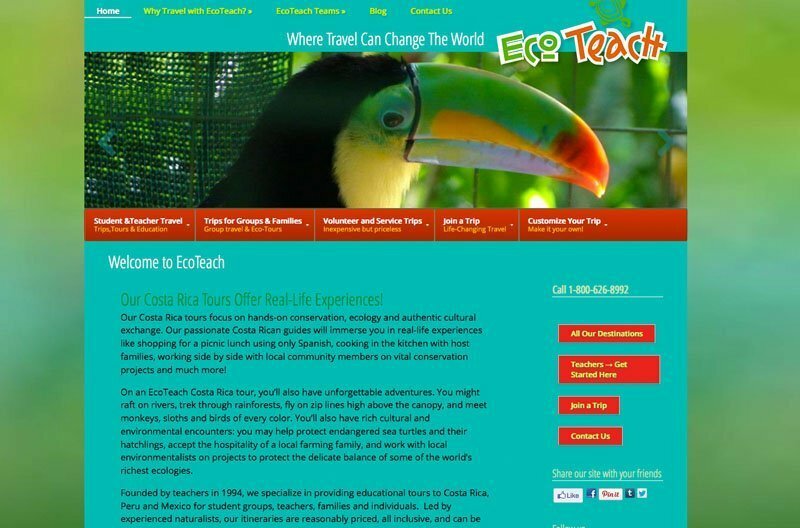 EcoTeach offers real-life experiences through tours to Costa Rica, Mexico, and Peru where hands-on conservation, ecology and cultural exchange are the focus. 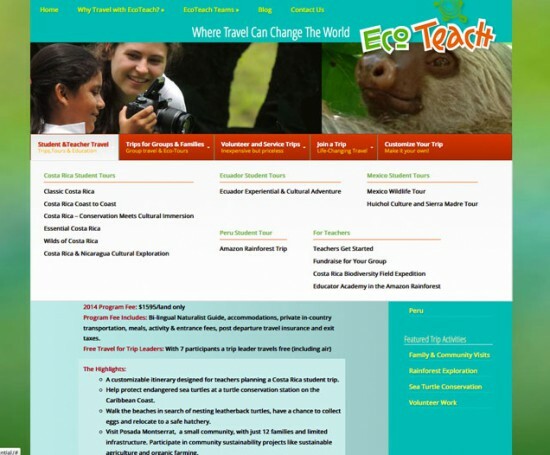 Convey the richness, beauty, and excitement of the tours while organizing the depth of tours offered and associated information in a manageable and understandable way. 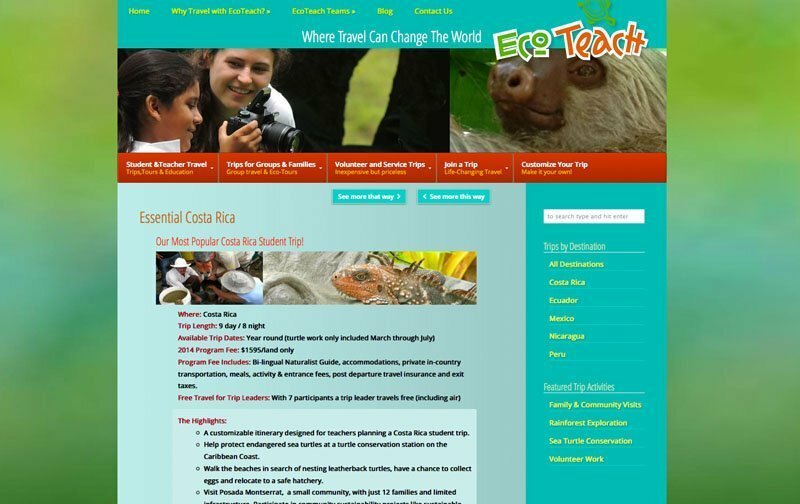 The site features beautiful photography, tropical colors, and two navigation structures – one which uses drop-down menus organized in columns. 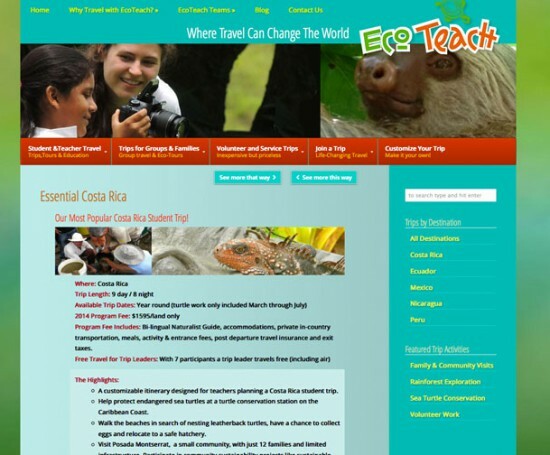 Custom edit areas were built to manage and consistently display the complex information required for each tour/trip. 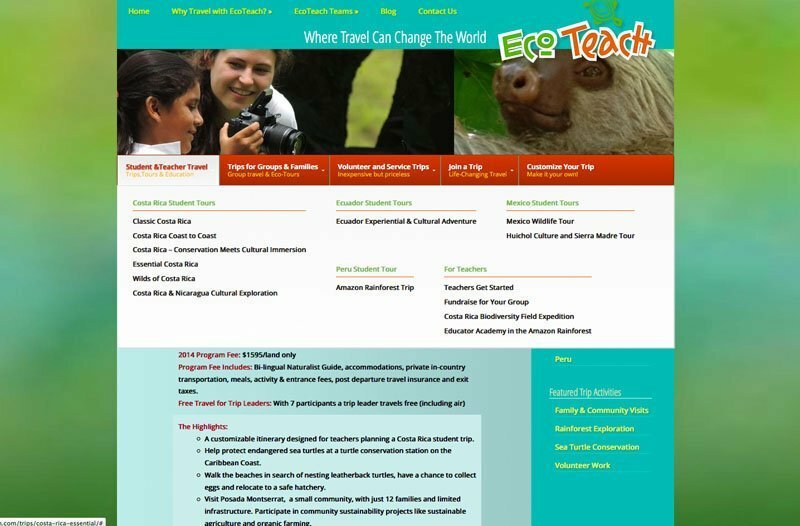 A custom taxonomy structure was also created to enhance the material’s organization and search-ability. It was a treat to be able to use intense coloration, and an enjoyable challenge to develop organizational schemes that would allow the users to quickly find their way. 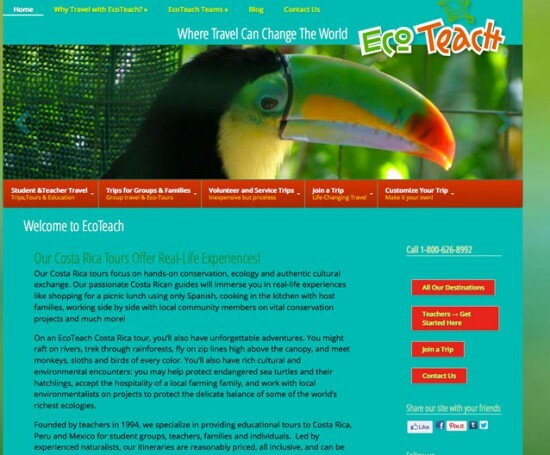 The EcoTeach team enjoys their work and offers a great product. What more could I ask for?